EarthShare New Jersey (ESNJ) is hosting the 4th annual Green Day Challenge to get businesses involved with our environment. 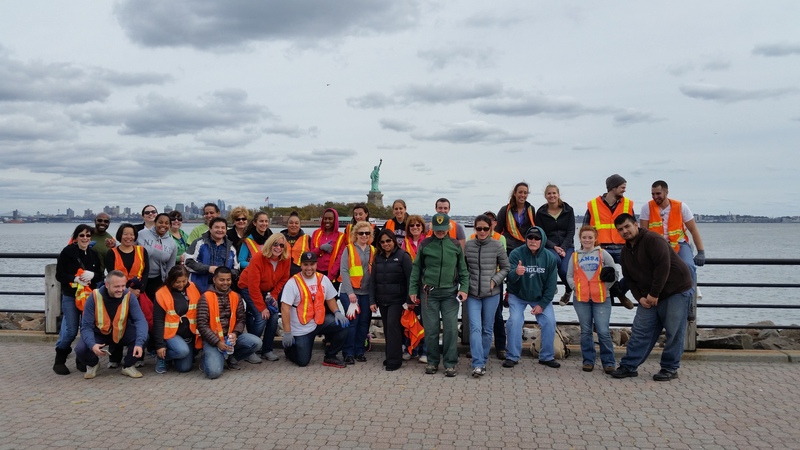 This challenge invites employers large and small from across the state to partner with an ESNJ member or friend for an environmental project (projects are available in most counties). Once the project is complete, the team and site will be evaluated by panelists to evaluate the overall scope and impact. The results will be tabulated and awards will be presented for Best Overall Challenge, Team Work, Spirit and more at EarthShare Celebrates New Jersey on May 17 at The Marketplace in Long Branch, NJ (each team receives 1 – 2 tickets to attend). Following is a list of project venues to choose from. Simply select your venue and submit the reservation form with your commitment. Sites are not reserved until payment is received. Each 3 – 4 hour volunteer event at a site you select includes water, supplies and guidance. The participation fee also includes a donation. Lunch can be added for an additional cost. EarthShare NJ as a member or friend. Wildlife habitat protection is a strategic goal for our organization. Join us for a coastal cleanup of a terrapin nesting habitat area. This 150 acre facility is looking for volunteers to assist in trail maintenance, invasive plant removal and or native planting. Being located on the western slope of the Palisades provides an amazing backdrop for our work! There are no special skills required. This 14 acre sanctuary provides numerous challenge opportunities. Chose one for your team. Trail Maintenance – With 1 mile of public walking trails, there is regular cleaning to keep them safe and easily accessed. This project includes re-blazing the trails, checking and replacing liner branches along each side of the trail and clearing growth that might have low branches or brambles leaning into the pathways. There may also be a need to reapply coarse gravel so that the trail continues to be wheelchair friendly. Deer Fence Maintenance – 11 acres of the sanctuary are protected from deer with an 8 ft fence. A native habitat restoration project is being conducted within the fenced area. Volunteers will walk the fence line, remove downed tree limbs, and repair physical damage to the fence, posts or gates. Invasive Species Removal – Invasive plants such as Garlic Mustard, Japanese Barberry, Norway Maple, etc offer little food and shelter to local wildlife and birds. Help us to remove these invasives so that these areas can be replanted with bird and wildlife-friendly plants. Help restore a native habitat as part of an ongoing project at the historic Darlington Schoolhouse. You’ll help remove non-native , invasive plant species followed by planting native plants to the region and installing deer protection for the newly installed plants. There are children visiting our facility throughout the year for hands on wildlife education experiences. We are looking to create a safer bus stop for their arrival and departure. This project includes defining a “loop” for the buses to travel, creation and updating of signage for buses and along the walking path to describe educational information about the habitat. Green infrastructure maintenance is critical to the success of stormwater management techniques. We work to reduce combined sewer overflows by maintaining the city’s diverse green infrastructure network that manages over 63 million gallons of stormwater annually. 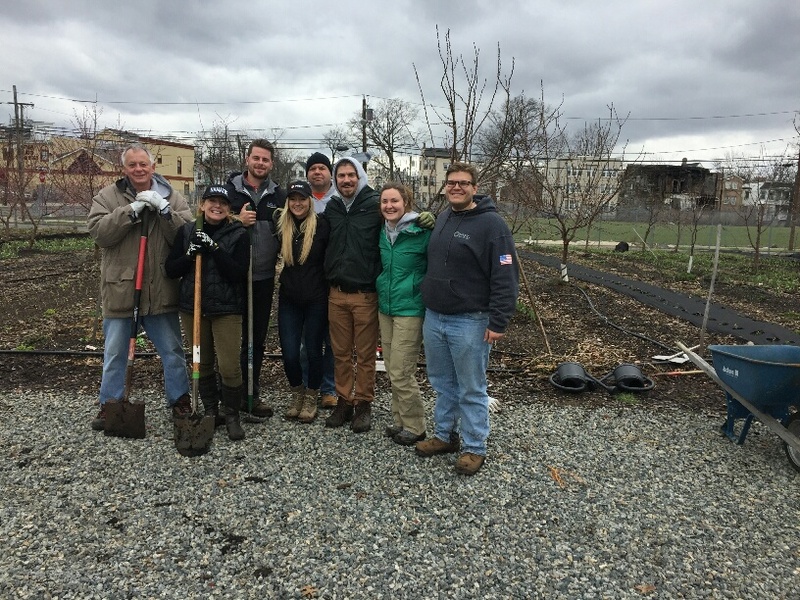 This project involves maintenance of these areas including weeding, planting and mulching a variety of green infrastructure sites throughout the city of Camden. This popular nature center has several projects for consideration. Center Yard Work – There is always plenty of general property maintenance needed. This includes grass cutting, pruning, invasive species removal and more. The Garden provides the mostly migrant, low income population of Bridgeton with access to healthy organic produce. The work day could consist of greenhouse work, seed planting, and cleaning plant beds. No experience necessary! This pollinator garden is visited by community members throughout the year. Come help clean up the garden with invasive species removal, weeding, mulching and preparation of the beds for planting. Join us on the farm as we ready the fields for spring planting! In addition to cleaning out the beds, turning the soil and possibly planting, other potential projects include building a shade structure or light carpentry work. Join us for a cleanup of the river bank and surrounding areas in Laurel Hill County Park. Work is done by land and on the water in canoes. All volunteers need to do is show up! Join us for trail work along the 2 mile long Mount Rose Preserve Forest Trail. We will use loppers, hand clippers and hand saws to clear out debris and obstructions from the trail. No skills are required, just a love of being outdoors and getting dirty! This vibrant habitat surrounding a popular pond consists of marshy meadows and deciduous forests. Once a thriving ecosystem, overabundant deer and invasive plants keep the diversity of native habitat at a minimum, disrupting the natural floodplain/riparian function and allowing the runoff of nutrients to cause algal blooms in the pond. Volunteers are needed to clear invasive vines and bushes, break down woody material, and replant the area with native shrubs and trees. This project involves working with Urban Agriculture staff on community or school garden improvement or development. Typical work involves moving compost or wood chips, weeding, and planting. These gardens are an important part of the community and schools. This nature center has five miles of trails that require clean up for the spring season! Work will include re-blazing the trails, monitoring/replacing liner branches along the trail, maintaining the pathways, and clearing growth that may have low branches or brambles leaning on the the pathways. There is also need to support the fern plantings that have begun. Weeding among the ferns is important as it allows the ferns to spread more and there is transplanting needed from a private garden into our preserve. Help us clean up Keansburg beach. This popular destination shows the wear of the winter season and there is always debris in need of removal. Help us to clean up the 100 Acre Woods! Years ago, a volunteer created this special trail for students and residents to enjoy. It is now in need of some love. Help us with trail maintenance, cleaning, pruning, re-blazing, invasive species removal and repainting/rebuilding of the 100 Acre landmarks. Help us clean up the beach from trash and marine debris. Sea Bright is home to several pairs of endangered shore birds during the summer season. With New York Harbor in such close proximity, a great deal of trash washes up there each year endangering birds and humans that share it. This work helps to restore/protect the area for these guests in the coming seasons! We work to keep the Lake Hopatcong Trail easily passable, clearly and consistently marked, and in a safe and harmonious condition with its surroundings. We are looking for volunteers to help re-blaze trails, clear a designated trail section of natural obstructions and remove litter. Looking for volunteers to assist with trail maintenance on 450 acres of uninterrupted open space! In addition to clearing trails of winter debris and overgrowth, we will install fence posts, spread gravel and apply mulch. Perhaps more depending on the number of volunteers! Predator fencing is needed for a habitat restoration project at Barnegat Lighthouse State Park. This newly created habitat was intended to attract several pairs of endangered Piping Plovers, Least Terns and Black Skimmers. In an effort to better protect the habitat from predators, fencing will be placed along the southern edge of the habitat. Volunteers are needed who are able to walk in sand, lift 10 – 15 pounds and have a great time! Join us at the beach to do some planting! There are plants in need of removal, new ones to be planted and plenty of mulch to be spread! Our EcoCenter Outdoor Classroom needs some development. Help us to plant native species, maintain the existing gardens and create education components of the outdoor classroom. This space is used to educate school children and the community about Barnegat Bay and the surrounding ecosystems. Over 4,500 visitors are welcomed at this facility each year, and there are a number of projects in need of attention. Some of the projects are more strenuous than others, so we’ve defined that for you as well. Mucking out a vernal pond – strenuous – Every couple of years when the ponds are “dried up” we need to remove the excess sediment so that they don’t become filled in. Three or four people are the max for this activity, but it can be done in shifts along with one of the other projects we have to offer. Clearing Invasive Species – moderate – pull, dig and cut are examples of methods used for controlling invasive species such as Japanese Barberry. If not controlled, this shrub can change the landscape by choking other native plants that are necessary for a thriving wildlife habitat. Trail Maintenance – moderate – Many visitors come to walk the trails , do bird watching or just enjoy the peacefulness of the sanctuary. The wood chipped strewn trails require maintenance to restore the integrity of the trail and protect the dirt from erosion, especially after the winter season and heavy rains. Weeding and transplanting ferns – moderate – ferns are native plants and exist throughout the sanctuary. Weeding is important as it allows greater spreading of the ferns and creates a wider habitat for wildlife including ground nesting birds. Help restore habitat and improve trail access at one of New Jersey’s natural treasures. We’ll be removing some invasive shrubs that are starting to close in on the trail. Bring a pack for a refillable water bottle and a snack. We’ll be hiking a short distance over moderate terrain carrying our tools to the work site. This 13.5 acre open space is an oasis in Summit and education resource in one of the most densely populate regions of New Jersey. Volunteers joining us for the challenge will be working on a specific section of the border that needs refurbishment. The only skills required on the part of volunteers are enthusiasm, the ability to follow directions. move fairly light objects and dig holes! The impact of this work will be seen by the thousands of annual visitors who come here for environmental science education, horticulture programs, cultural experiences and historical awareness opportunities. Trail Maintenance – Keeping the paths accessible to visitors is a priority. Fallen branches, overgrown vegetation and displaced trail paths all need attention in the spring. Trail signage may also need to be updated. Invasive Species Removal – Invasive species degrade wildlife habitat by crowding out the native plants that wildlife need for food and shelter. Volunteers are needed to assist in hand cutting invasive plants. Pollinator Garden Maintenance – This important garden needs weeding and pruning. There are also opportunities for planting at different times during the season. Sinkhole Management – to ensure the safety of visitors, the sinkholes need to be well marked. This project involves the installation of fencing around sinkholes. Stream Clean-up – The Musconetcong River and tributaries that run through this property are important features on the landscape for wildlife. Trash drifts downstream and washes up on the stream banks creating hazards for birds, turtles, fish and other species that use the stream – and its just an unsightly mess. Help is needed to walk the trail along the stream and remove any litter that is seen around the water. Since the introduction of this program in 2016, 25 teams have participated in the challenge. 375 volunteers have spent 1,504 hours cleaning beaches, blazing trails, hanging deer fencing, planting, mulching, removing waste, and more. The challenge continues to grow every year! The 2019 Green Day Challenge will take place on Friday, April 26, 2019. Registration closes April 10, 2019. Get your 2019 Green Day Challenge Reservation Form HERE! If you want to participate with your team, contact paldarelli@earthsharenj.org to learn more and register!